Singer Paul McCartney speaks to the media about his Library of Congress Gershwin Prize for Popular Song in Washington, on Tuesday, June 1, 2010. 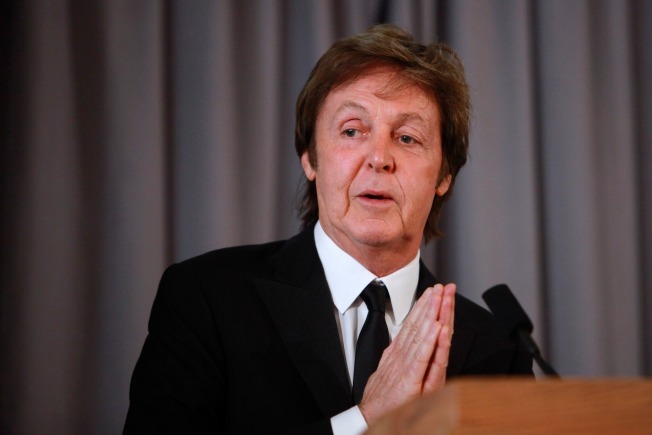 Paul McCartney would like President Obama's critics to let him be. “I’m a big fan, he’s a great guy. 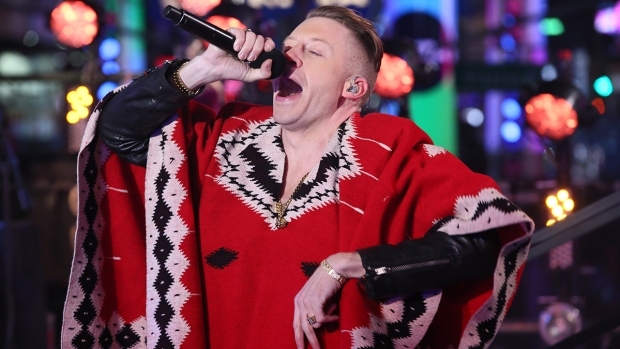 So lay off him, he’s doing great,” the British songsmith said on Tuesday, ABC News reported. This year’s recipient of the Library of Congress’s Gershwin Prize for Popular song, McCartney is set to perform at the White House Wednesday evening and be feted by fellow musicians Stevie Wonder, Faith Hill, the Jonas Brothers, Elvis Costello and Herbie Hancock, among others. Speaking at a press conference in Washington ahead of the event, McCartney, 67, said he planned to “try to have fun” but predicted a case of the nerves when performing “like, three feet away” from Obama. The Gershwin Prize, named after songwriting duo George and Ira Gershwin, has been given out on two previous occasions, according to Reuters. Stevie Wonder was honored last year. Paul Simon got the nod in 2007, which makes the ex-Beatle the first non-American Gershwin Prize recipient. "It's fantastic for me to be here because as a little kid I grew up listening to the music of the Gershwin Brothers and loved it and had no idea, of course, that one day I might be in such a place, getting an honor such as this," McCartney said at Tuesday’s press conference. "I wouldn't have believed you if you told me as a kid growing up in Liverpool that this would happen. So it's very special for me." The Gershwin Prize concert is set to be broadcast on July 28.